Ellen Meloy, great naturalist and author, was tied to the land. She was at one with what the desert represented, gaining a connection she deemed vital. 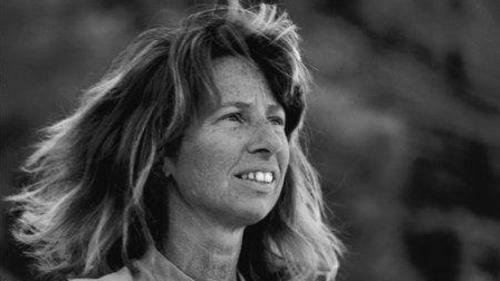 She dedicated her life to discovering her place in the deserts of the American West, and the importance of the connection between human beings and the wild expanses, pure and unadulterated.Her writings were greatly acclaimed. 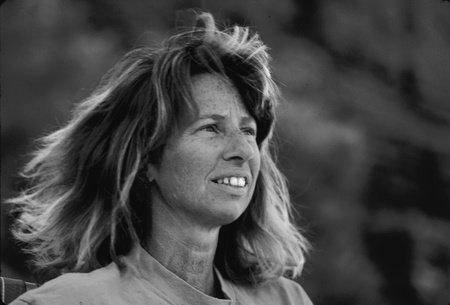 Her first book, Raven’s Exile: A Season on the Green River, won the Spur Award for Best Nonfiction Contemporary Work in 1994. She won the Whiting Award in 1997. The Last Cheater's Waltz was released to high praise in 1999. Her 2002 book, The Anthropology of Turquoise, won the Utah Book Award, Banff Mountain Book Festival awards, and was a finalist for the Pulitzer Prize. Her final book, Eating Stone, was completed 3 months before her death in Bluff, Utah in 2004.Ellen Meloy wrote and recorded a series of audio essays for KUER, NPR Utah in the 1990s. Every few months, she would travel to their Salt Lake City studios from her red rock home of Bluff to read an essay or two. With understated humor and sharp insight, Meloy would illuminate facets of human connection to nature and challenge listeners to examine the world anew. Seasons: Desert Sketches is a compilation of these essays, transcribed from their original cassette tape recordings. Whether Meloy is pondering geese in Desolation Canyon or people at the local post office, readers will delight in her signature wit and charm—and feel the pull of the desert she loves and defends.An illustrious panel will gather to reminisce about Ellen and the impact she had on them as writers and people. They will also be discussing Seasons: Desert Sketches. Joining us will be: Greer Chesher, author of Heart of the Desert Wild: Grand Staircase-Escalante National Monument; Amy Irvine, author of Trespass: Living at the Edge of the Promised Land and Desert Cabal: A New Season of Wilderness; Stephen Trimble, editor of Red Rock Stories; and Elaine Clark, Producer of RadioWest on KUER. The discussion will be led by Kirsten Johanna Allen, publisher and Editorial Director for Torrey House Press. We'll even hear from Ellen herself in previously recorded material.Please join us for this remembrance of Ellen Meloy, her life, works, and impact.